Exploit that uses the vulnerability CVE-2010-0842 in the component “Sound” Oracle Java SE (up to version 6, the 18th update) to download files on the infected computer. Exploit that uses the vulnerability CVE-2010-0842 in the component “Sound” Oracle Java SE (up to version 6, the 18th update) to download files on the infected computer. Is RMF-file (Rich Music Format). Depending on the modification may have a size 492 or 479 bytes. An error exists when displaying buttons in dialog boxes, small browser window. An attacker can trick the user to click a button on the page and download and execute arbitrary files with the privileges of the current user. Solution: Install the latest version 11.67 or 12.02 from the manufacturer. Malware Exploit.Java.CVE-2010-0842.d – Exploit that uses the vulnerability CVE-2010-0842 in the component “Sound” Oracle Java SE (up to version 6, the 18th update) to download files on the infected computer. Exploit that uses the vulnerability CVE-2010-0842 in the component “Sound” Oracle Java SE (up to version 6, the 18th update) to download files on the infected computer. Is a Java-class (class-file). Has a size of 2195 bytes. Malware Exploit.JS.Pdfka.dmg – This program is an exploit that uses for its execution on a user’s vulnerability in the products of Adobe – Reader and Acrobat. This program is an exploit that uses for its execution on a user’s vulnerability in the products of Adobe – Reader and Acrobat. The file is a XFA (XML Forms Architecture) form, which contains malicious script language Java Script. Has a size of 14,529 bytes. Malware Net-Worm.Win32.Kolab.ylu – This worm copies itself to removable drives, as well as download and install other software on the victim machine without the user’s knowledge. This worm copies itself to removable drives, as well as download and install other software on the victim machine without the user’s knowledge. It is a Windows (PE-DLL) file. Has a size of 60,928 bytes. Packed with an unknown packer. Unpacked size – about 136 KB. Written in C + +. A multi bootkit is written in C, is able to hide its own presence in the infected system. Includes 8 components, including three drivers. Malware Trojan.JS.Redirector.oy – Trojan. Is a script written in Java Script (JS), which is located in the HTML document. Trojan. Is a script written in Java Script (JS), which is located in the HTML document. Has a size of 717 bytes. 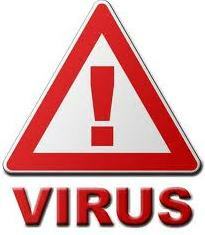 Malware Trojan.Win32.Agent.gwvg – Trojan has a destructive effect on the user’s computer. Trojan has a destructive effect on the user’s computer. The program itself is a Windows (PE EXE-file). 45056 bytes in size. It is written in Delphi.